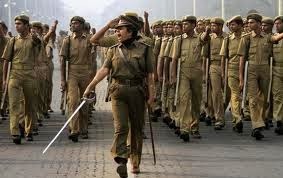 Central Armed Police Forces (Assistant Commandants) Examination, 2013 The Union Public Service Commission will be conducting the Central Armed Police Forces (Assistant Commandants) Examination 2013 on 20th October, 2013(Sunday) at 41 Centres all over India as per notification dated 06.07.2013. E-admit cards are available on the Commission’s website http://www.upsc gov.in. Candidates are advised to download and check the e-admit card carefully and bring discrepancy, if any, to the notice of the Commission immediately. Rejection letters citing the ground (s) for rejection have also been put on the Union Public Service Commission Website. In case of any difficulty, the candidates may contact the UPSC Facilitation Counter on Telephone Nos. 011-23385271, 011-23381125 and 011-23098543 on any working day between 10.00 AM to 5.00 PM. The candidates can also send Fax message on Fax No. 011-23387310. No paper Admission Certificate will be sent by post. In case the photograph is not clear on the e-Admit Card candidates are advised to carry two identical photographs (one photograph for each session) along with proof of identity such as identity card or Voter Identity Card or Passport or Driving License and printout of e-Admit Card at the venue of the Examination. Mobile phones, Calculator or any other communication devices are not allowed inside the premises, where UPSC Examination is being conducted. Any infringement of these instructions shall entail disciplinary action against the concerned candidates including ban from future Examinations/Selections. Candidates are advised in their own interest not to bring any of the banned items including mobile phones/pagers to the venue of the examination, as arrangements for safekeeping cannot be assured.